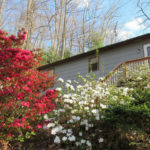 You are invited to slow down, take a breath and enjoy your relaxing getaway to Lake Lure & the Blue Ridge Foothills. With mountain cabins and lakeside cottage, historic B&B’s and luxury resorts, you’ll find the perfect accommodations in the perfect setting. Bostic & Golden Valley hides their treasures away on dusty dirt roads! Drive through and visit Washburn’s General Store, the oldest, consecutively family owned and operated retail business in the entire state. The Bostic Lincoln Center preserves and exhibits key accounts and facts that support the theory that President Abraham Lincoln was born here! For spirit-lovers, discover Blue Ridge Distilling Company – take a tour and sample its Defiant Whisky. Chimney Rock State Park is Chimney Rock Village, a quaint little town with a big appetite for life. Try a homemade cinnamon roll at Medina’s Village Bistro (as featured in Southern Living Magazine), tackle what Zagat declared a “must-try burgers” at the Old Rock Café, and then work it off along the Riverwalk that parallels the Rocky Broad River! Don’t forget to visit the many other eateries, shops, and of course, the famed Chimney Rock State Park, filming set of Last of the Mohicans! Ellenboro is home to less than 1,000 residents and favors landscapes over luxuries. Enjoy down-home Southern cooking at Randall’s Ellenboro Restaurant (serving three meals a day!) before stopping by the Ellenboro Train Depot, a unique museum of not only trains, but trinkets and nostalgic items from decades past – it’s just like stepping back in time. Forest City Historic Downtown features modern boutiques, nostalgic antiques and “mom and pop” eateries. Every winter, the Forest City’s Hometown Holidays celebration lights up Main Street with more than one million lights, an annual tradition since 1930. Classics like soda fountains, vintage cars and wooden-bat baseball round out the small town American experience. Lake Lure is a resort community, with not only gorgeous views of the mirror-like water and surrounding foothills, but local dining spots, great lodging properties and welcoming lakeside shops. Lake Lure Inn & Spa lies adjacent to the public Lake Lure Beach – the film Dirty Dancing (filmed partially in Lake Lure) was filmed here. A multitude of hiking trails, watersports, and quiet thinking spots make Lake Lure the ultimate getaway! Rutherfordton is one of the oldest towns in Western North Carolina. Visit charming shops that have spanned generations while collecting vintage treasures and admiring the only remaining cluster of antebellum homes in any North Carolina downtown. Enjoy a historic walking tour of Main Street that is also infused with modern day stops like an interactive children’s museum, fine women’s clothing, locally made arts, and craft food and drink. Spindale offers small-town charm of the eclectic shops and restaurants that line Main Street and the brick buildings that have stood strong for generations. Explore the length of the town on the 7.35-mile Thermal Belt Rail Trail. Originally the textile railroad line, it’s now a symbol of our town’s past and the healthy physical future of the community!